Frederique Constant is pleased to continue its sponsorship of Variety’s Power of Women events, supporting its ninth installment of the famed luncheon at the Beverly Wilshire Four Seasons last friday. Sponsorship of this event is indicative to the Swiss watch brand’s ongoing brand pursuit of giving back – especially to charitable initiatives directly impacting women. The event gathered an intimate group of Hollywood’s most philanthropic women who have been selected as Variety’s “Lifetime Impact Honorees.” Through their humanitarian efforts, these women have made a significant difference in their chosen causes. 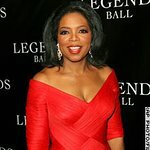 This year’s honorees include Academy Award and Golden Globe nominated actress Salma Hayek Pinault (CHIME FOR CHANGE), Tony Award and Academy Award nominated actress Anna Kendrick (The Trevor Project), Academy Award and Golden Globe winning actress Gwyneth Paltrow (LA Kitchen), Academy Award and Golden Globe nominated actress and media mogul Oprah Winfrey (Oprah Winfrey Leadership Academy Foundation), and YouTube CEO Susan Wojcicki (Room to Read). The women honored this year are the perfect embodiment of the Power of Women initiative. Frederique Constant salutes Salma Hayek Pinault, Anna Kendrick, Gwyneth Paltrow, Oprah Winfrey and Susan Wojcicki for their incredible philanthropic work and their personal commitment to fostering change. The exclusive luncheon hosted five hundred invite-only guests comprised of Hollywood insiders, who came to celebrate, support and pay tribute to the philanthropic efforts of these incredible and inspirational women. Frederique Constant is Variety’s 2015 Power of Women Charity Sponsor. Frederique Constant has donated Ladies Automatic Heart Beat watches to each of the honoree’s charities to be auctioned off. Since 2004, Frederique Constant has been engaged in supporting charity, with $50 from each watch sold from its Ladies Automatic Collection donated to various charities. These charities include those related to the heart, children and women. Frederique Constant’s slogan is “Live your passion”, and the brand does. Passion definitely shows through its craftsmanship, as well as its engagement toward charity causes.